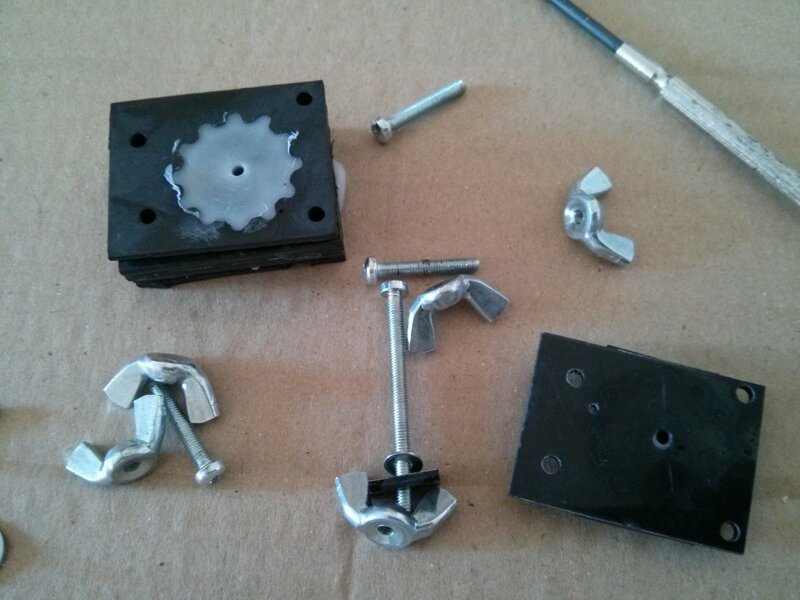 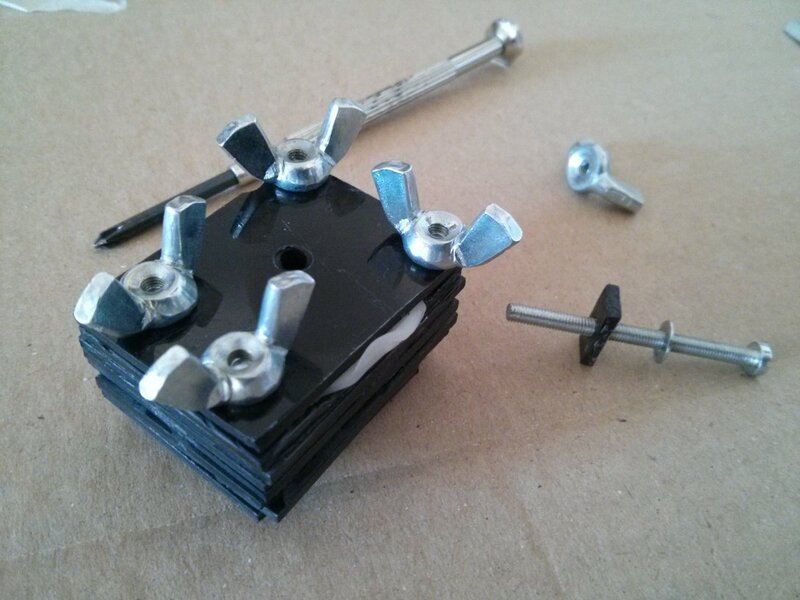 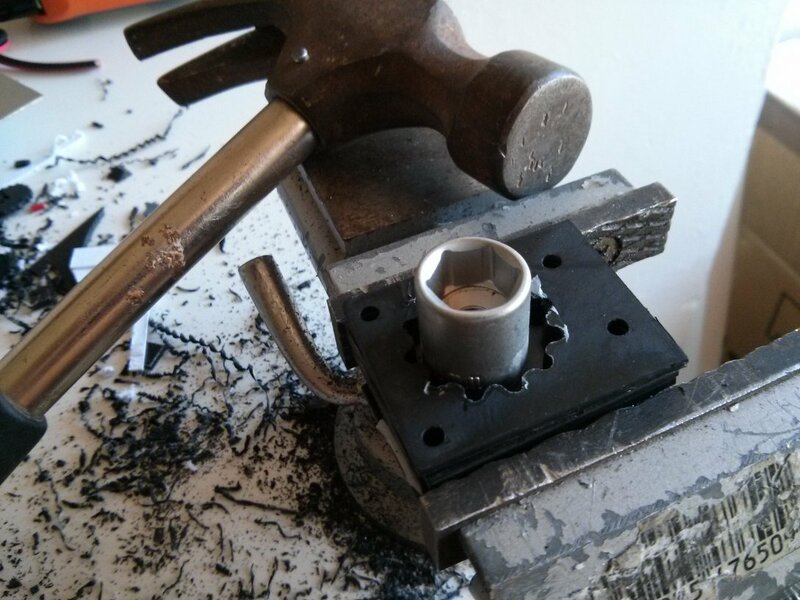 The goal is to make a small gear wheel for a tracked robot. 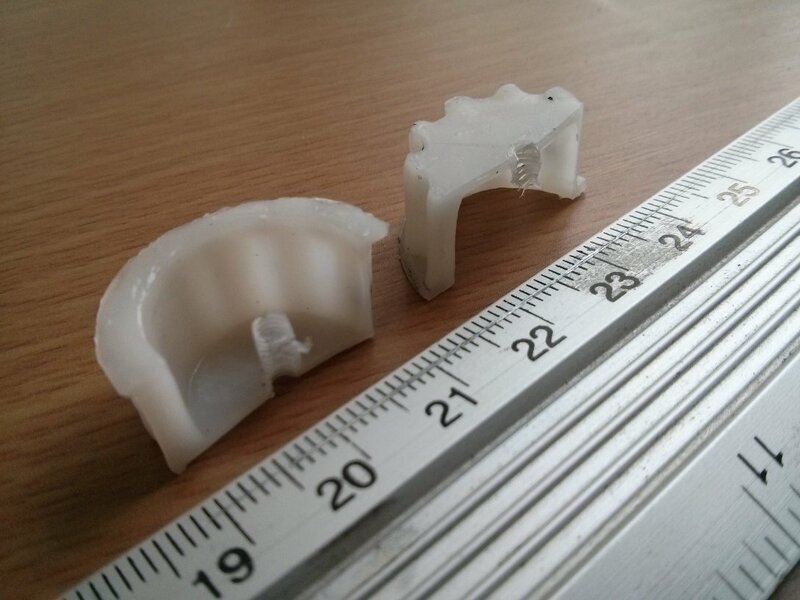 The wheel is 24mm outer diameter and some wals are as thin as 1mm. 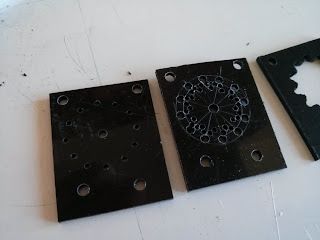 As I don't have a press drill to make precision holes, I used 2mm HDPS sheets in layers to make the mould. 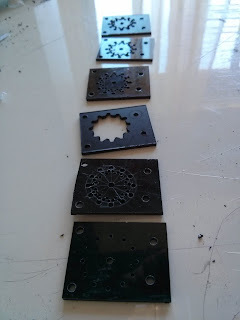 Each layer has to be drilled individually and then all put together and sanded util they have an even and smooth surface. 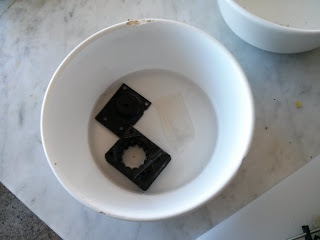 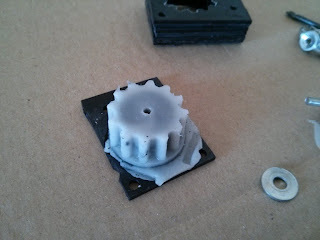 The mold was heated in the same water than the polymorph and the pressure applied with a screw and nut. 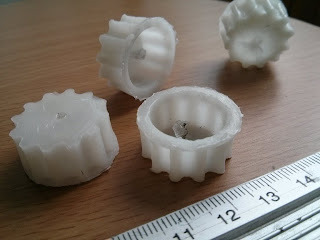 Demoulding was quite hard because of the small inaccuracies of the handmade mould and because of the small exit angle. 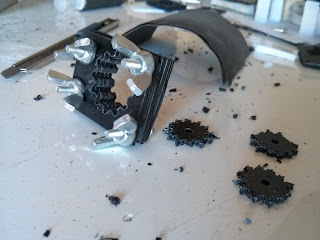 I managed to make a set of four wheels, but the quality/effort is not really worth it. It would need to make a better mould, or forget about polymorph and cast with polyurethane resin in a regular silicone mould.